Global Limo understands tradition is something that you have to keep, that's why we provide bachelor parties limo and Party Bus service. With our service, you can have a blast on the last night before stepping into a marriage. 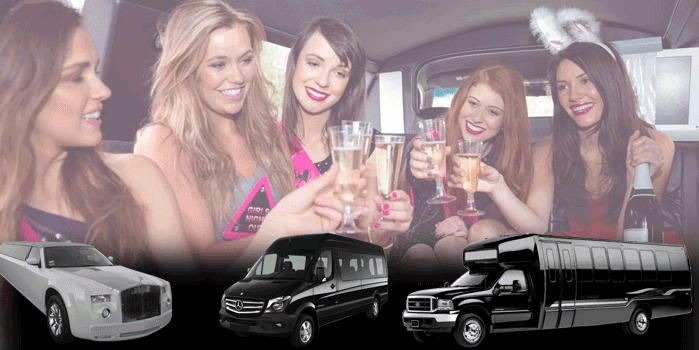 Do it in syle with best limos and party buses that can fit up to 45 passengers. Wild or neat, outloud or discreet, we can help you arrange your mate’s bachelor party in the way you want it to be done. Bachelor parties is a precious time, share it with some close friends and get ready to be wild. Our bachelor parties limo service can help you arrange VIP tables in some hottest night club in town. Spot yourself in the best sit to enjoy the show. Ride in style with limos like Chrysler, Bentley, Mercedes Benz with leather seats, flat screen TVs and best sound system. No destination? Don't worry. Party yourself up in the car while driving around the city. Feel the fresh air from your limo moon roof while enjoying the city night view with your relatives. Get crazy inside your limo or your party bus with all the facilities inside, or simply ride to somewhere and enjoy a calm and blissful night with close friends while enjoying wine and champagne. Give your partner or your friend unforgettable prize by arrange them a bachelor party with our bachelor parties limo bus service, and have an unforgettable moment together. Our bachelor parties limo service will ensure that night will be one last blast to be cherished forever.